Growing up in a variety of small towns and cities in the country – including Chennai, Delhi, Ahmadnagar, and Jabalpur – Anshu Khanna caught the zeitgeist of the real India. 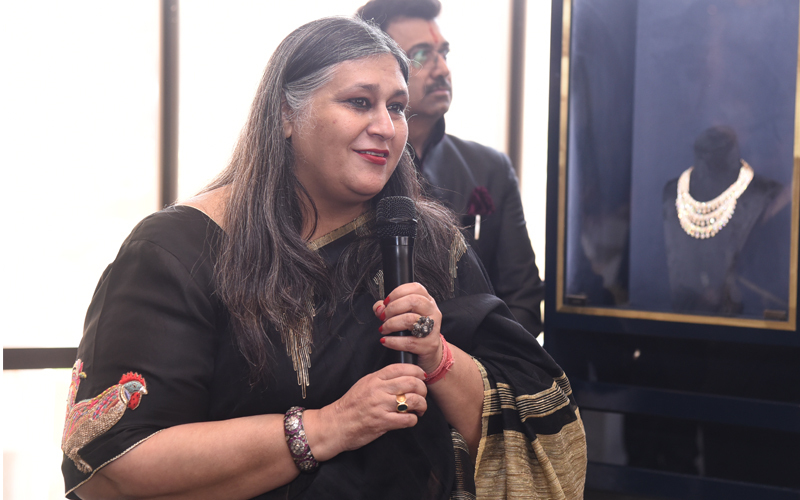 She started off her career as a cub reporter at Savvy, becoming the group’s bureau chief in Delhi later on and looking after the content for five of their publications: Society, Savvy, Stardust, Showtime and Health & Nutrition. She left that job to be a homemaker while consulting with The Asian Age and NIFT at the same time.“Fate drove me to open India’s first boutique PR agency, Goodword Media Services, which works in the realm of art, design, fashion, literature and performing arts,” she recalls during a one-on-one with You & I. Her recent venture is Royal Fables. It’s a unique platform that showcases heritage-inspired creations of blue-blooded designers who’ve inherited regal crafts from their families, and infused their own creativity to make their work more relevant to contemporary lifestyles. Some of their products include objets d’art, miniature art, textiles, music, precious and semi-precious jewellery, silver, and hand-tucked quilts. 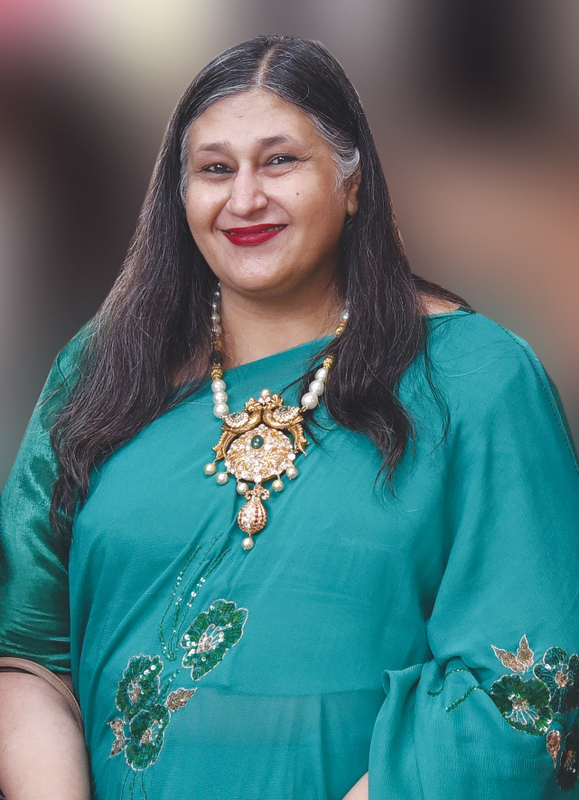 Recognised by the Indian government for her efforts to conserve, revive, and develop the ancient and royal cultures and traditions, she takes some time out to share her experiences with us. Congratulations on winning the Nari Shakti Puraskar award! How does it feel being conferred the prestigious award? It feels like I’m walking five feet above the ground! It also feels like the world – and especially the government – has not just recognised my hard work, but also the cause I work for. What inspired you to start Royal Fables? Both as a journalist and then a PR professional, I had the good fortune of meeting many young and highly-talented royal heirs who were fiercely proud of their legacy and were, in their own way, trying to keep it alive. Meeting them, interacting with them and seeing their work, I had this thought that kept brewing in my mind: Royal India and its culture needs to be not just conserved but also developed to move with the times. But most importantly, it must be showcased. The local crafts developed within palace studios, the bastions of design that were integral to princely India, the kitchen cultures that make their food such a delectable tale and the realms of music and dance performed in erstwhile durbars… all of this needs to be presented before an evolved audience. Little known but very impactful is the contribution of women, born in princely India, who are reviving the tradition of palace karkhanas, employing women artisans, weavers, merchandisers and managers. Whether it is textiles, art, craft, music or performing arts, these palace karkhanas continue to create masterpieces, also providing livelihood to women artisans. The only missing link is the quest to create a marketplace where these women can comfortably present their creations, sell them to a discerning audience and in turn support their craft studios that provide a livelihood to women of their region. Royal Fables simply bridges this gap. The Royal Fables initiative has recognised, encouraged, and brought the current generations of these families onto its platform, showcasing their living cultures to the world. With a vision to keep the handcraft legacy of royal India alive, the platform has ensured that the flame of patronage does not die down. Instead, it burns much brighter now, as Royal Fables presents this legacy through carefully-curated shows and exhibitions. What are some of your challenges while curating the expositions? Finding patrons who believe in handcraft, scouting sponsors, getting the powers-that-be interested in princely India, and most importantly, making this a sustainable model. Do you have any favourite royal items that you’ve come across? The pure gold weaves from Mandawa, the miniature art from Kishangarh, Ravi Varma oleographs from Baroda, hand-painted sarees from Pratapgarh, silver from Badnore, organic cotton from Seohara, block prints from Baria… the list is endless! Handcraft traditions are known to employ women at various levels. Leading NGOs, like Sewa, have proven that craft is not just a means of livelihood to women, but is also a platform that helps conserve the highest level of cultures and traditions, which were otherwise dying in the commercial marketplace. Women attached to such organisations get paid well to work in the peace of their home and churn out classic work. And that for me is most fulfilling. What’s in the pipeline for Royal Fables?